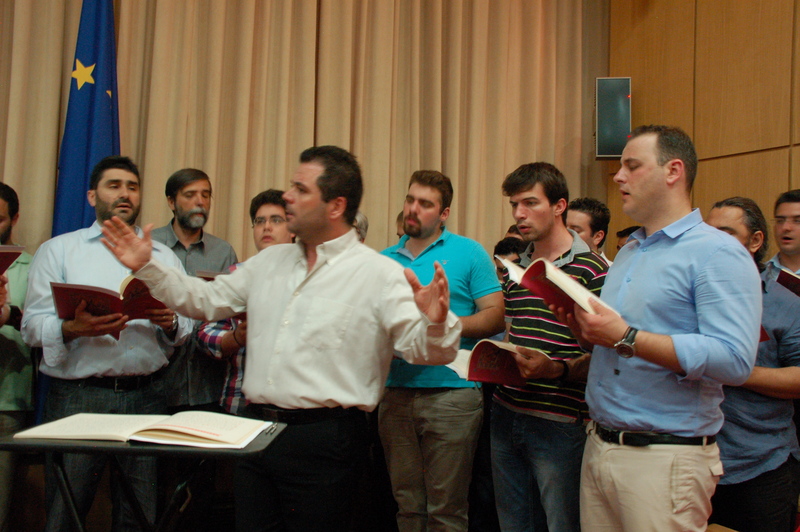 We spent an evening at the University of Athens, visiting with members of the Department of Music. 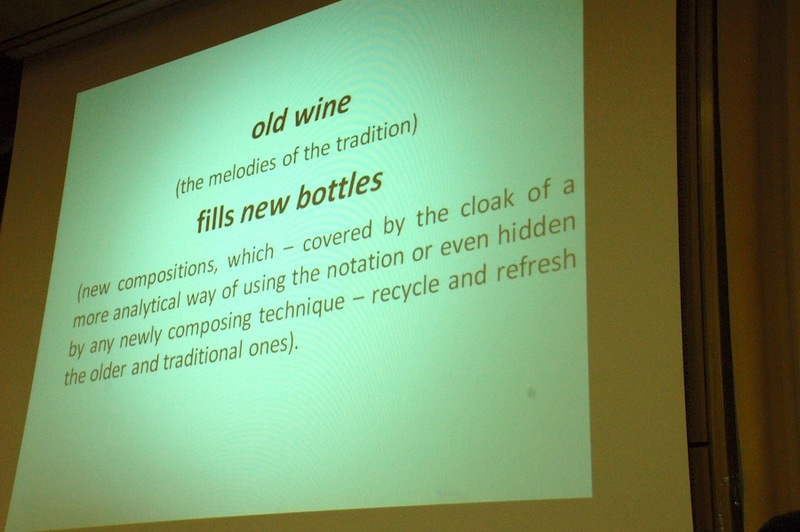 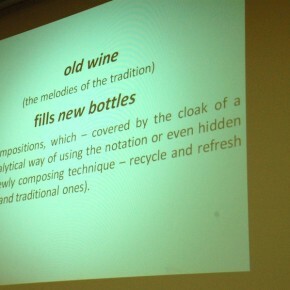 Achilleus Chaldiakis, professor of Byzantine Musicology, delivered a lecture entitled, “Old Wine, New Bottles: Traditional Chant Melodies and New Compositions,” which included a performance of Greek and Byzantine chant music. 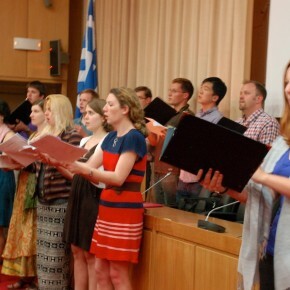 In return, the Yale Schola Cantorum performed a piece for the choir from Greece! 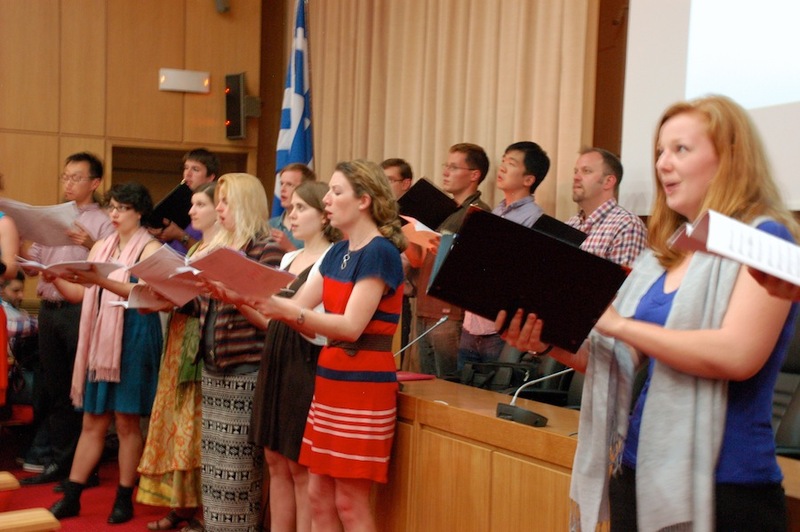 Byzantine Chant – ISM Study Tour from Yale ISM on Vimeo. 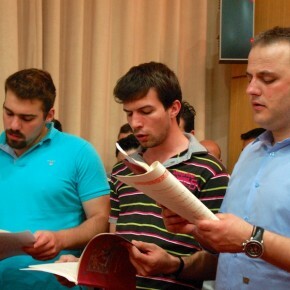 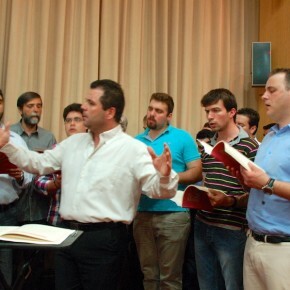 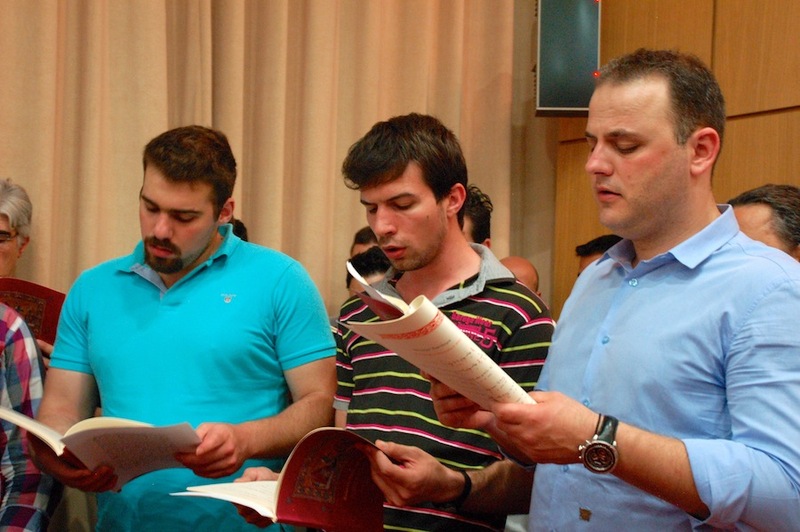 The choir “Μαΐστορες της Ψαλτικής Τέχνης” (Masters of the Art of Chanting) was founded by the Professor of Byzantine Musicology and Director of the Foundation of Byzantine Musicology, Gregorios Stathis. Their mission includes: (1) the study and presentation of byzantine and post‐byzantine composers, (2) the morphological study of the various genres of byzantine music, (3) the promotion of byzantine music in academic and artistic contexts and (4) the participation in worship. 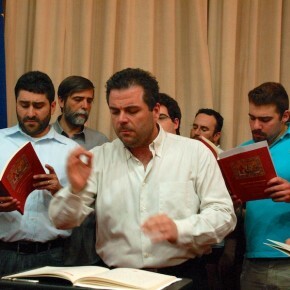 They have had over 200 concerts and recitals in Greece, Europe, Armenia, Israel and Australia. 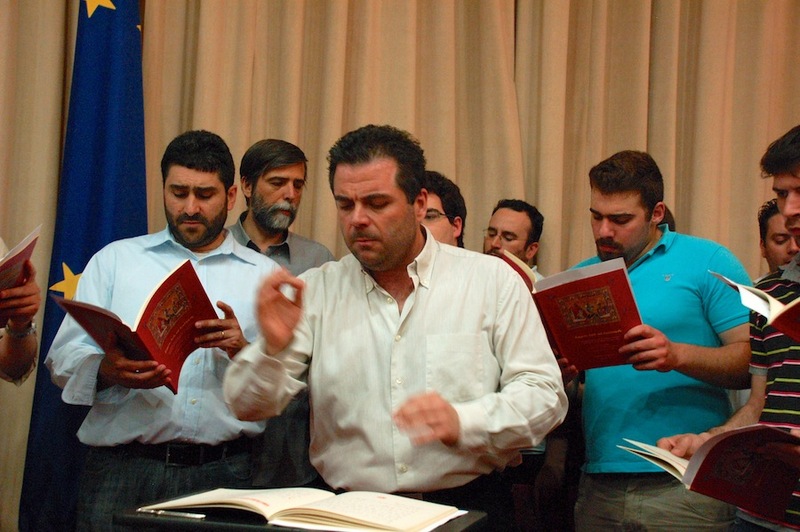 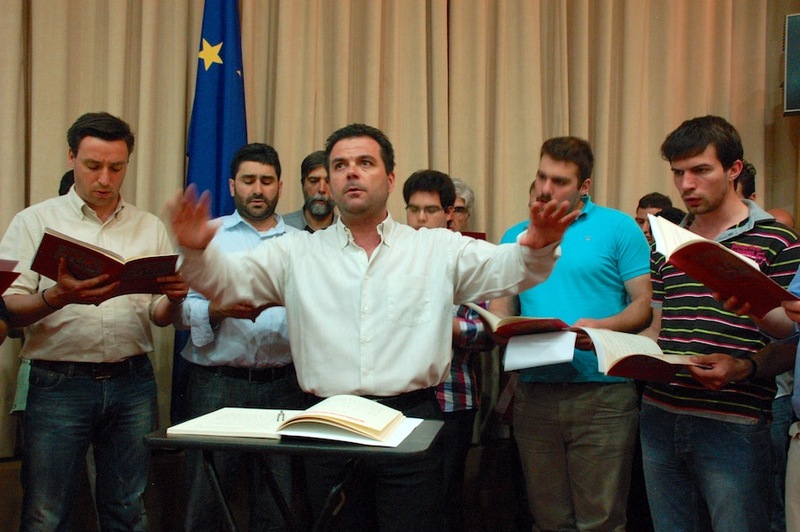 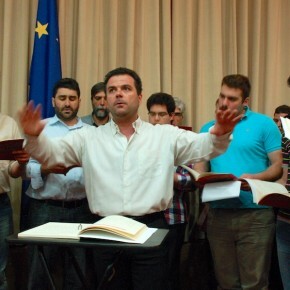 In 2004 Gregorios Stathis stepped down as director of the choir and his student and disciple, Achilleus Chaldaiakis, professor of Byzantine Musicology and the Music Department of the University of Athens, succeeded him as director of the choir.